Constant supervision is mandatory for your dogs. 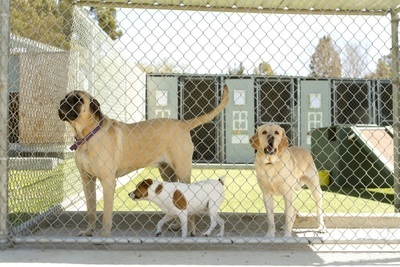 The kennel should be designed with all features like safety, security and it should be spacious and hygienic. What are the pre-checking lists for your dog boarding? If your pet suffers from aggression or bad temper then you may have to think twice before boarding the dog. A candidate with basic training and good behavior is suitable for a dog boarding kennel. It is also important to have the pet’s vaccination completed. Besides, it is recommended that your pet has a previous long boarding experience in a kennel. This helps your pet’s long kennel stay become successful. What are the minimum criteria for best kennel? Is there adequate light and ventilation? What are the best features of the dog’s kennel? You can first ask the veterinarian who attends your pup or adult dog and then go on to take suggestions from neighbors and friends who have pets and have let them stay in boarding kennels. After you collect the names, start with background check. Look for positive online reviews, if any. This will make your selection easier, and you can contact a reliable dog boarding for getting maximum benefit for your canine companion. After you have gone through all of these points you are sure to find out a happier way to make your pet smile.